Enjoy a delicious meal in just 2 minutes! MTR is India's largest selling Ready to Eat brand. 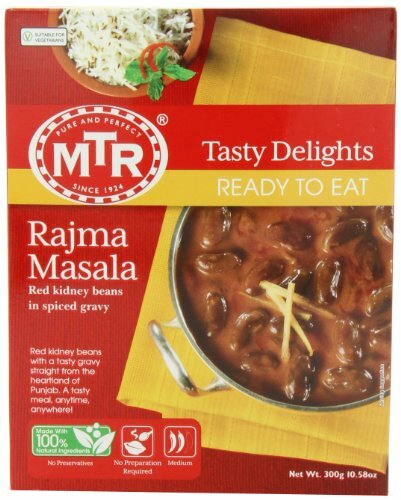 Rajma Masala is made with red kidney beans in a hearty sauce. The all-time North Indian favorite. 100% natural ingredients and suitable for vegetarians.